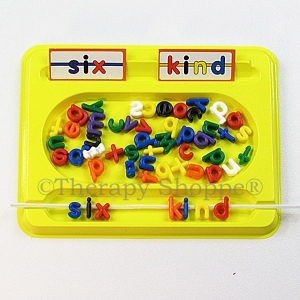 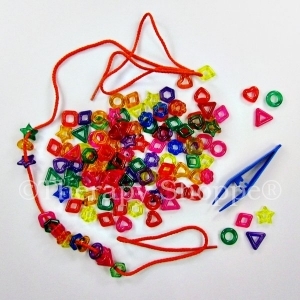 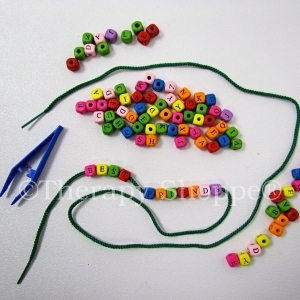 All-inclusive, skill-building kit features 90 brightly colored, 5/16" wooden alphabet beads, a stringing lace, and a Skinny Mini Squeezer Tongs. 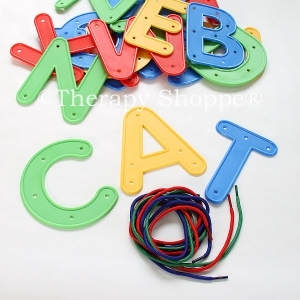 Lace 'em, sort 'em, or hide 'em in the sand table...you'll find tons of therapeutic uses for this alphabet letters play set! 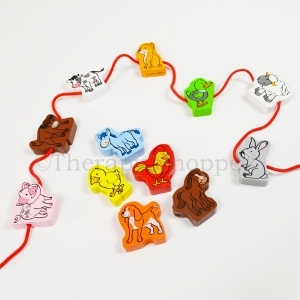 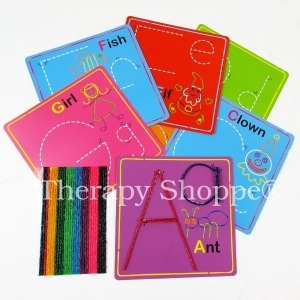 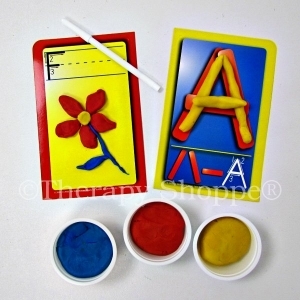 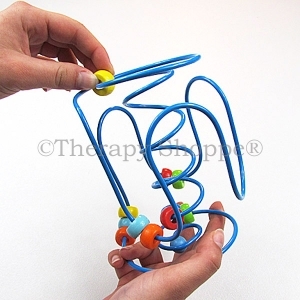 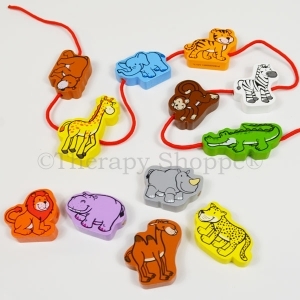 Superb for developing fine finger grasps, bilateral, eye-hand skills, and learning the alphabet.